In 2015, Pope Francis announced that 2016 would be an extraordinary Holy Year of Mercy. 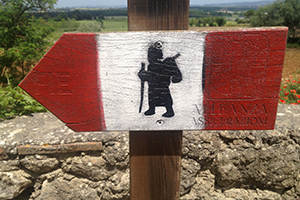 This is an exciting year to challenge yourself to a walking or cycling trip on the Via Francigena pilgrimage. The Holy Year will be marked with the opening of holy doors of each of the papal basilicas, including St. Peter’s basilica. Ordinary Jubilees are celebrated every 25 years. However, an extraordinary holy year may be announced for an event of particular importance. The next time anyone will have a chance to experience a Holy Year isn’t until 2025. The Holy Year will allow pilgrims from around the world to participate in unique events in Rome and pass through St. Peter’s holy door. We have chosen three great routes that pilgrims and walkers can take for the Holy Year. Follow in the footsteps of St. Francis through the Rieti Valley all the way to St. Peter’s square in Rome. The Rieti Valley is also known as the Sacred Valley where St. Francis founded the Franciscan order. Starting your journey in the historical town of Rieti at the St. Maria Assunta Cathedral you will pass many Franciscan sites. During this walk you will discover lush Italian countryside, walk alongside olive groves and stunning landscapes. This is a truly epic journey from one of the most beautiful cities in the world to the eternal city of Rome. Enjoy the historic centre of Siena with its magnificant Cathedral (Duomo), dedicated to Santa Maria Assunta. On the trail you will cycle through the UNESCO listed landscape of Val d’Orcia and the famous vineyards. The cycle takes you through charming medieval towns where you will have the opportunity to sample some of the best in Italian cuisine and culture. Our new guided tour is the perfect way to join in the celebrations for the Holy Year. We will be travelling from Viterbo to Rome for Easter week, starting on March 19. 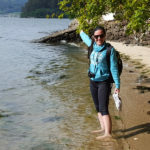 Enjoy spending time with fellow walking enthusiasts, sampling the flavours of Italy and trekking through some of the world’s most scenic landscapes. Once you arrive in Rome, you will have the opportunity to pass through the Holy Door of St. Peter’s Basilica with your group. 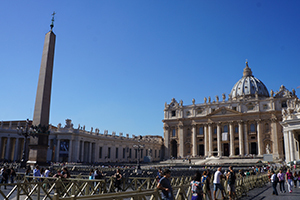 If you are planning your trip there are a few key dates to consider for the Holy Year, including, April 2 where Pope Francis will lead a prayer vigil in St. Peter’s Square. There are also special jubilees for pilgrim workers, priests, teenagers, volunteers, caretakers, Padre Pio and prisoners. The full calendar of events is available on the official Jubilee website. 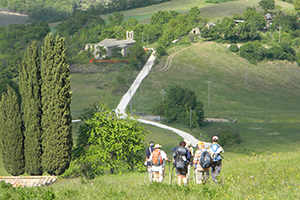 For more information about the Via Francigena walking and cycling routes contact our Travel Specialists.